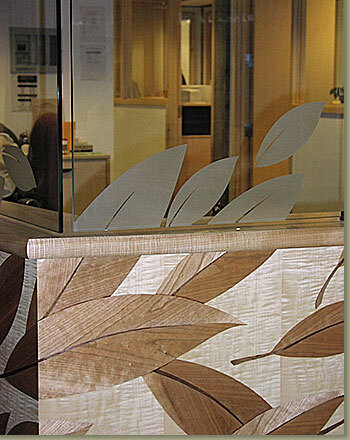 Detail of veneer marquetry transforming into sandblasted glass panels. Curly maple, cherry, sandblasted glass panels. 24-foot radius vacuum formed curved desk front.